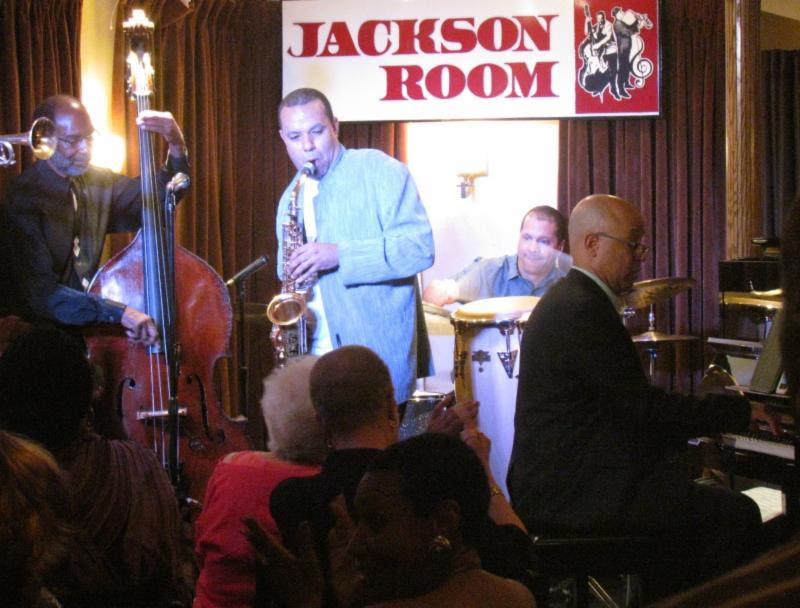 It's been almost 3 years since the Ed Jackson Quartet has been performing to growing number of warm receptive audiences at Jackson Room. Ed Jackson and his cadre of musicians and jazz masters have been "bringing world class jazz back to our community" every month going on 3 years. Ed Jackson, and his name sake quartet have been doing jazz performances the last Saturday, every month called "Month's End Jazz Motivations." Jackson is tapping into the tremendous tradition of Jazz innovators in St. Albans and Southeast Queens. Some of the top jazz artists have lived in Southeast Queens at one time or another. Jazz luminaries like John Coltrane, Fats Waller, Lena Horn, Ella Fitzgerald, Mercer Ellington, Billie Holiday, and many others have lived in the area. Ed Jackson is also happy for the support the community have given him in the past and present. "I sincerely thank supportive people like you for making this anniversary possible. Without you achieving a milestone like 3 years of performances at Jackson Room wouldn't be possible" says Jackson. On that note the Summer heat is also slowly but surely beginning to warm things up. Although the cooler temperatures seem to want to linger with us the warming trend cannot be denied much longer. What better time to come out and support jazz and positive culture in our community. Consistent with the unstoppable seasonal heating trends the Ed Jackson Quartet, and events at Jackson Room, have been rising in warmth and intensity. The summer is a great time to experience the invigorating soulful spark of jazz. Why not come out this month and bask in the uplifting glow of our community enlivened with irresistible music and support Jackson Room? What better time than the initial summer season to get out and enjoy jazz with friends, family, and loved ones? Ed Jackson, Jackson Room, and his quartet would like to personally invite you and others in the community to "Begin the Summer on a Jazzy Note," June 27th, 2015, with the Ed Jackson Quartet. As always his goal is to continue to "bring world class jazz back to our community. They have put together choice selections and a world class ensemble of jazz artists to entertain you Saturday, June 27th, 2015. Let's support the cultural heritage of music at the 3 year Anniversary at Jackson Room! Come on out and experience this important occasion made possible only due to your invaluable patronage of people like you in the community. Make your Reservation now. "Begin Summer On A Jazzy Note"
Support Jazz in Queens by sharing this blog post with someone you know.